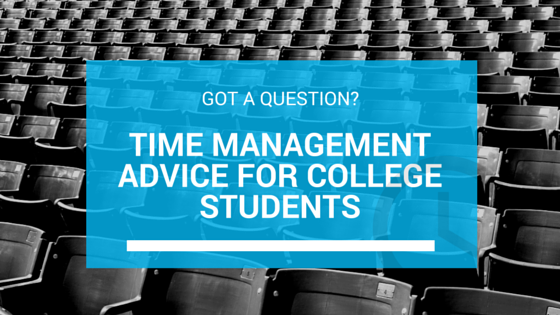 There's no doubt about it - time management for college students is always a challenge. How much is that true for you? Lethargy, procrastination, irrelevant work and stress are just some of the issues that will prevent you from achieving what you want, and that's before you've dealt with the million and one other things that still need to be taken care of in your life. The trick is to know exactly what it is you do want, then to make a plan to get there. You've got to actually do it. Is your workload causing you to feel stressed and overwhelmed? Do you leave things until the last minute and then stay up all night trying to meet that deadline? Does your poor time management affect the quality of your work? Have you got problems balancing work and life? Are you easily distracted from what you should be doing? Use the form below to share your experiences or ask any question you want relating to your time management, work life balance or any other aspect of your study habits. If it's a genuine time management related question or request, submit it using the form below and you will get a response. I'll offer you practical solutions that specifically address your problem or situation. This is a free service - as a teacher myself I'm always interested in helping students improve their time management. It also benefits other people who can read and learn from others' situations. Please make sure you take a little time to put together a few sentences about your situation - a bit of detail helps enormously. The more you give, the more accurate I can make the reply. You don't need to give out any personal information - just your first name and general location. Whilst I am happy to offer advice, please be advised that I will only respond to questions that are related to time management for college students. Give your comment or question a title (ex, "I keep putting things off", then put your question in the text box below. Entering your question is easy to do... just type in the box! I Waste All My Time On The Computer! I Am Too Lazy To Study!